November 10, 2017 By Tina M Leave a Comment This post may contain affiliate links. Read my disclosure policy here. We have a really fun “Letter From Santa” for you to print off this week! The idea is that it comes in the mail from Santa and his elves, for your child to fill out and return. Whether or not you choose to shop for Christmas before or after Thanksgiving, now is a good time to encourage your kids to write a letter to Santa so that you have a plan once Black Friday and all the deals start popping up. As I was looking around for some free printable Santa letters, I decided I wanted to do something different this year. If you read our post on True Christmas Magic what we did different last year that made our Christmas extra magical, you know that we are teaching our kids not to focus as much on what they are “wanting” for Christmas. As part of this initiative, I wanted a Santa Claus letter that was more of a Letter to Santa template, than a blank list for my children to fill will all their wants and desires. I wanted something that we would want to keep for remembrance. And that’s how the Letter From Santa idea came to be. 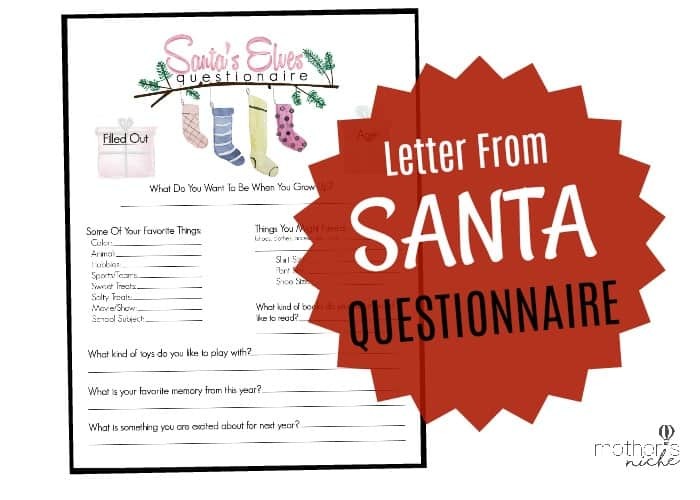 This Santa letter template is in the form of a “questionnaire” which helps Santa get to know your kids each year. Things they love, what they are working towards, their favorite color, etc. Once this Letter from Santa is filled out by your child, it’s also something fun to send to grandparents and relatives that helps them get to know your kid a little better too. This is one of those Santa Letter Printables that you will want to save and keep each year so that you can remember what their favorite things were at each age. It also helps from giving kids the idea that everything they wish for on their “letter to Santa” will come on Christmas morning. Instead of just jotting down a “Christmas wish list” their minds are focused on a friendship with Santa through an engaging Santa Claus letter. We hope you enjoy this Santa Letter Printable as much as we do! Merry Christmas! For another fun activity, after your kids have filled out their printable Santa letter, you might enjoy our Christmas treasure map! 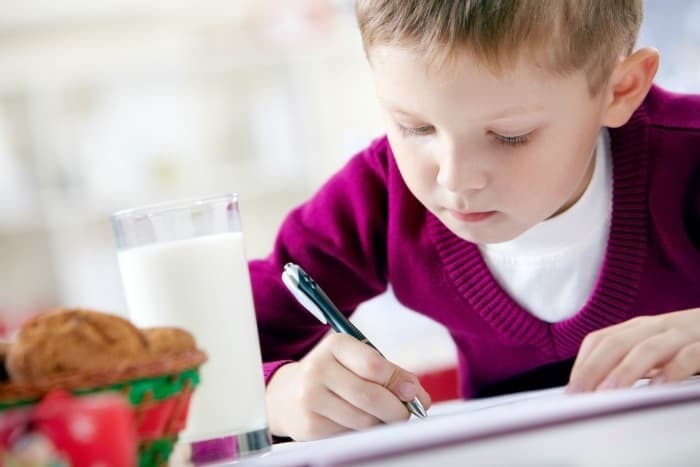 Have your children answer the questions and put their letter in the mailbox (remember to sneak the Santa letters out of the mailbox before the mailman comes).